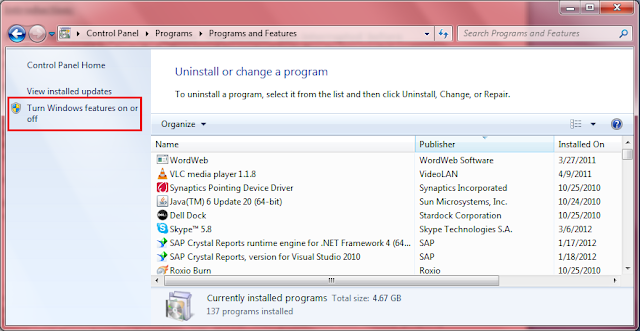 In this article I will explain how to solve “The installer was interrupted before application could be installed. 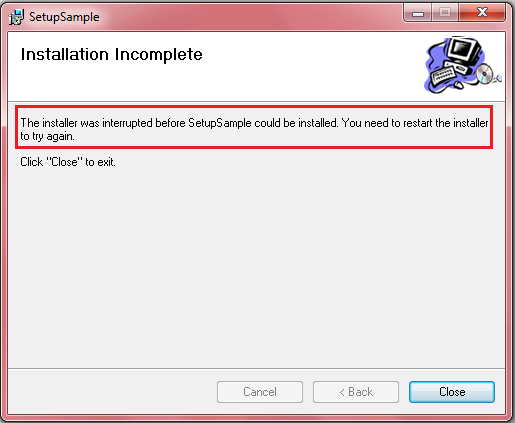 You need to restart installer to try again” problem during installation of custom web setup projects in system. In previous article I explained how to create setup project to deploy application in IIS. After create a create Setup project for that application I tried to install it in my system during that time I got error like “The installer was interrupted before application could be installed. You need to restart installer to try again”. To solve this problem I made some of changes in my system. 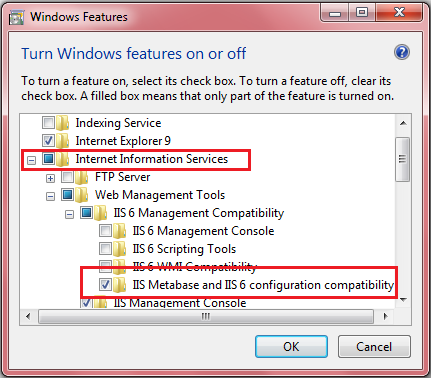 Once you select IIS Metabase and IIS 6 configuration compatibility click OK.
After completion all of above processes try to install setup file it will work for you. SIR CAN U EXPLAIN HOW TO ADD CUSTOM ACTIONS IN C#.NET INSTALLER. I CREATED A GAME OF SUDOKU AND SUCCESSFULLY CREATED A SETUP BUT I TRIED TO ADD ANOTHER EXE AS CUSTOM ACTION TO LAUNCH GAME AFTER SETUP RUNS BUT AFTER SETUP ISN'T RUNNING PROPERLY. 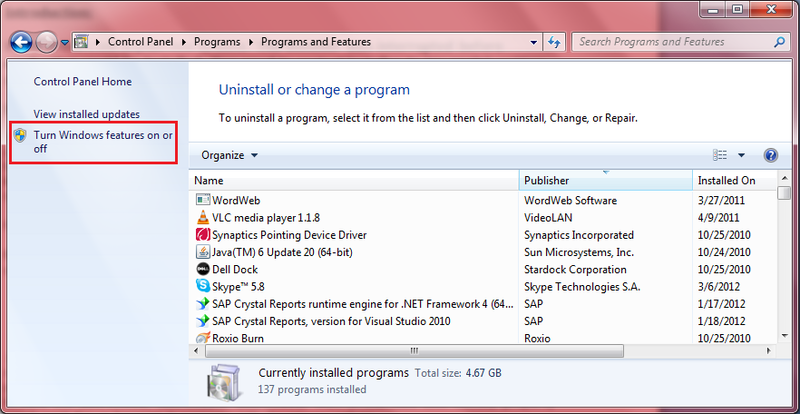 I USE VS 2010. Sir i have error in sql server 2008..in window 7...when i m attaching db there were error "version 612 db and your version is 655"
How to solve this problem in windows xp ?? It don't work for me. Windows 7 x64. I have no develoter tools on it. I am trying to create setup for mvc3 and following your previous post and the above error is coming while installing.Is it due to mvc or windows version issue. hurrey!! A Big problem is solved. This is the right situation i have ever faced. i have yet another problem in same..
once i click install i am getting an error "You do not have sufficient privileges to complete this installation for all users of the machine. Log on as administrator and then retry this installation"
thanks for valuable reply in advance..
Can you please tell me how to solve this problem with window Xp. very much helpfull (y) Worked for me .. Thanks Allottt..
Can you please help me , how can this be solved in windows server 2003? Thank you ... my problem is solved.